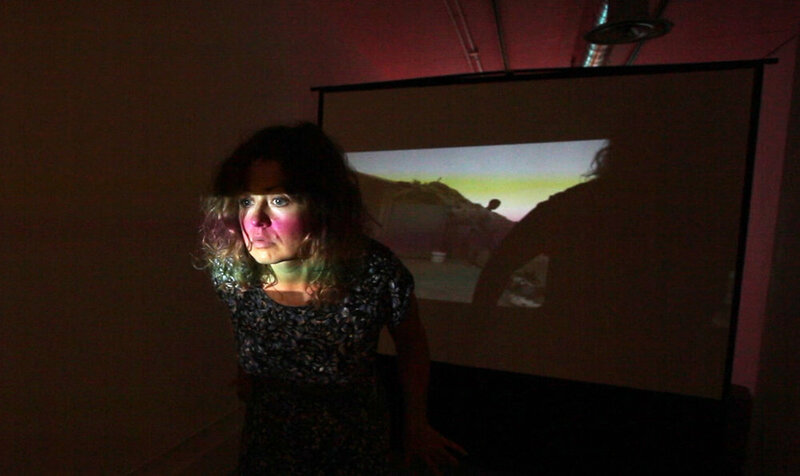 ELEFSIS: Minotaur Arrival is an interdisciplinary, interactive experience that employs visual art, video, sound/music, dance theatre and performance art to challenge participants’ perceptual systems. The audience is a key part of the work as this piece is designed to enable participants uncover and perhaps discover interesting aspects of themselves – taking the time to notice the workings of human mind. What is the relationship of Presence and Absence and how it defines my experiences? How can I deal with a sense of constant move and ambiguity – how does this influence my perception and mental state? Let’s say I am arriving in a place, a time-frame, a relationship or a goal; arriving in life itself. How do I deal with the act of being here? What is the reality that I chose to experience and how my choice shapes my relationship with myself and others? Where am I really, right now? You may come and rest; your presence is already here. You may come. And perhaps remember. Or feel. And chat - about life. I remember - when the earth was born. It was hot. It was cold. It was a struggle and a song. inhabited this place. You were there. And then you weren’t. Who will join this thunderstorm of play? Let’s make the script.